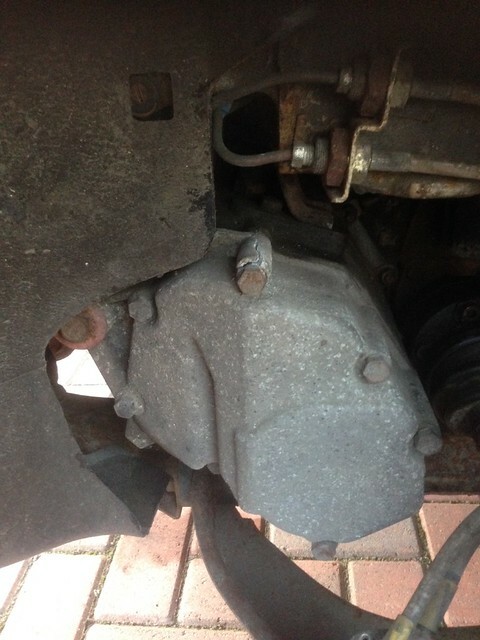 Lancia Beta Forum > Technical stuff > Transmission > Casing crack - Unusual? I know it's been cold, but not that cold! 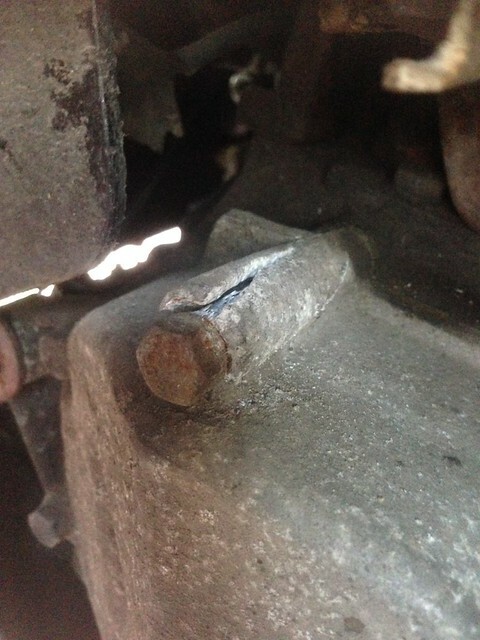 Upon giving the car a glance over before MOT time, I've come across the end casing having a crack at one of the bolts. Made even stranger because those bolts have never been touched in my ownership of 11 years and it was certainly fine the last time I had the wheel off and have done little mileage since, so why all of a sudden now? A known weak point? Be interested to hear if anyone else has had this? Re: Casing crack - Unusual? Looks like electrolytic corrosion between the steel bolt and the alloy casing? Built up over the years around the threads until the casing has failed. Never seen that before though. I've not seen that before on a Beta gearbox, but I've seen it on the exposed front engine mount on a VFR750 Honda. 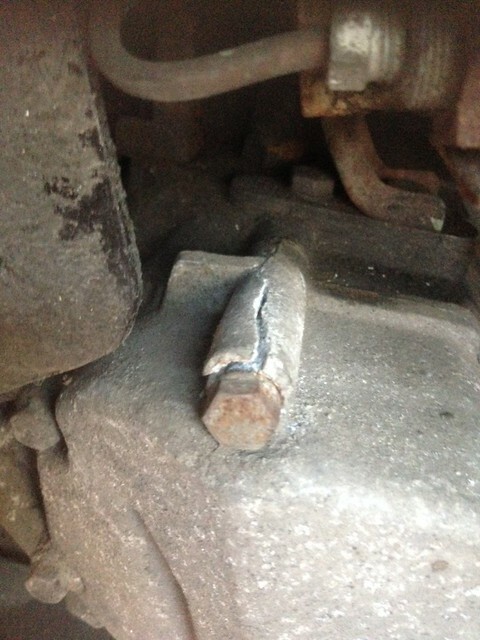 As Neil says, corrosion between dissimilar metals (normally steel and aluminium) builds up, often assisted by road salt and water, until the aluminium expands to the point that it 'blows', fracturing the casing. I agree with Neil and Graham and I have seen it before on a Beta Gearbox. I used stainless bolts and copper slip on my gearbox re-build. You just need a replacement end casing and a set of bolts so not the worst that could happen. Agree with corrosion, maybe previously removed in it's life at some point to corrode more than the others as the others are fine, just that one bolt. Not causing any issue as it is, but will look out for an end casing and replace the bolts for stainless at the same time. Since you are a racer , i would not recommend stainless steel. I would repair this as follows. Remove the good bolts one a a time. clean the bolt and put copaslip on the hole bolt. clean the hole with a suitable drill. Give it at least 24 hours to harden. intsall the bolt agaain with copaslip. If everything looks good, fasten all the bolts to 1,9 ftlb. That is enough.